Mahesh Tinaikar, golden fingers guitarist of the indie rock scene in India and a passionate musician open to sounds and grooves coming from various influences and parts of the world was his cool and delightful self during an interview he granted to a captivated Hindi Cinema Blog reporter on the occasion of the release of the Whirling Kalapas EP. The acoustic project features him and his usual "partners in crime": Uday Benegal (vocals) and Zubin Balaporia (keyboards) plus collaborations with Suman Sridhar, Taufiq Qureshi, Suresh Mendoza, Ankit Dayal and Vivaan Kapoor. 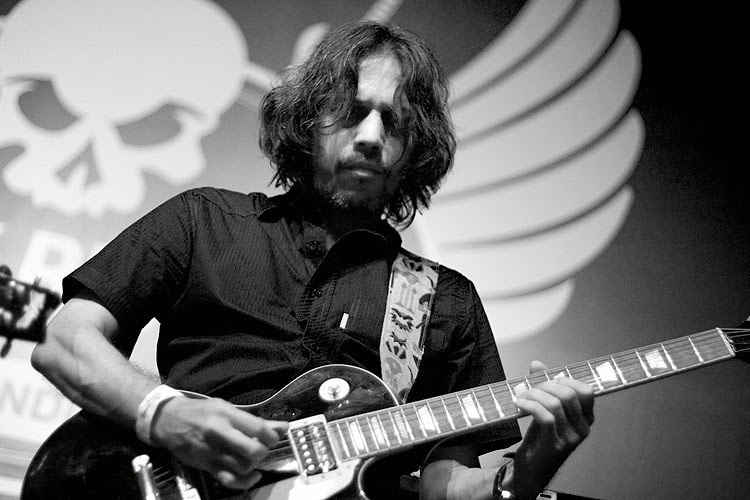 Here is the result of a chilled-out conversation with the man behind the unique strumming and riffs of the many times legendary Indus Creed. HCB: Tell us about your favorite guitarists and which have influenced you the most? HCB: Have you ever met him? MT: Well actually, I will finally be meeting him in a month! MT: Yes! I am heading to New York and he will also be at the same event, so I will meet him there. HCB: How old were you when you first picked up the guitar? MT: I was pretty old, I would say, around 19 or 20 years old... I was always wanting to play the guitar, I knew that was what I wanted to do and so I managed to start with three guys: Uday (Benegal) and Zubin (Balaporia). HCB: What do you think your occupation would have been if you were not a guitar player? MT: (Chuckles) An airline pilot. I also almost missed becoming a sailor on a merchant ship. The ship was a cattle carrier and it was going to Kuwait. I was going to work in it but as I boarded the ship, I saw the cattle and all and I just couldn't do it. I walked out of the ship then and there! I had always wanted to play music and my parents thought it wouldn't give me a living so I tried getting another job but in the end, music was what I really wanted to do. HCB: You are currently touring for the launch of the Whirling Kalapas EP. What has being in this project meant to you? MT: Actually you know what, let me give you some background. 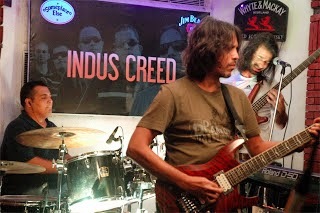 Indus Creed, the original band, stopped playing in 99 when Uday left to New York, where he got settled and stayed for around 10 years. He came back in 2008-2009 and he said, "let's do music" so we started the Whirling Kalapas. Eventually, we got back to recording an album as Indus Creed but then last year we all thought, let us get Whirling Kalapas back and keep it very acoustic... as acoustic as possible. 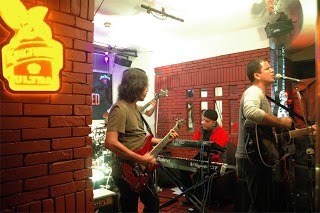 We got together with Zubin and we started playing all these songs and did a show in Shilong where we played as just a trio. Everybody said it was fantastic! So we were very happy with that and eventually decided we would record, which took a couple of months. It is a project I am very happy with. 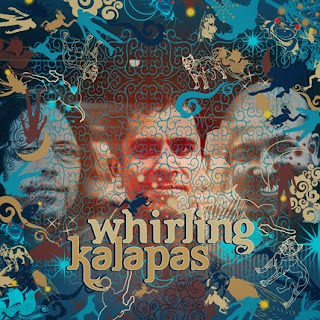 HCB: What differences do you find between performing for Indus Creed for example against performing an acoustic act, such as the Whirling Kalapas? MT: It is very different. First, the audience is much younger when we perform as Indus Creed. Our acoustic act attracts a lot of older people who just want to listen and chill you know, and also lots of other musicians that are curious and take an interest. What I notice is that all the audience is smiling (when we perform acoustic music). We don't get too many young people. HCB: Do you have a favorite acoustic guitar you play? MT: I bought a Martin acoustic about 5 years ago in NYC. I just tried it and it sounded beautiful. I also have an Ovation guitar which I got in the Middle East, maybe Dubai, I don't remember, in 1993 or 1994. HCB: Some guitarists give names to their guitars, have you christened yours? MT: (Laughs heartily) No! Not at all! I haven't gotten into that! I am not someone to get into that. HCB: Would there be anything you would change about your career or the path you have taken to become the musician you are today? MT: In hindsight you always think that you could have done things differently but I have no regrets whatsoever. Maybe if I had done things differently they wouldn't have come out as they have. I can say I am very happy today. HCB: Where or how do you find inspiration for composing? Do you compose more with your band or by yourself? HCB: Tell us who is a musician you admire and would love to meet and work with? MT: I am not sure I can say. There are so many people I admire or like but then there has to be a certain chemistry when you get together to make music. If two people cannot connect then it becomes difficult to make music together. When I was not working with the band I worked with many musicians but it was ok though not really like it was with my band. We are also great friends outside of making music. We just hang out. It is important to have a chemistry with the musician you are working with so even if there are two excellent musicians, if there is no spark, the music will not be as enjoyable. HCB: What has been playing on your Ipod or Mp3 player lately? HCB: How would you describe the current acoustic scene in India? Do you have any tips for acoustic scene or indie scene musicians in India at the moment? MT: In the last 4 or 5 years there has been a lot of acoustic songwriters that are very good - a lot of girls - and of course other acoustic bands that are all very talented. The indie scene also has a lot of DJs, acoustic musicians or even heavy metal with young boys and girls doing interesting things. The audiences will turn to all this good music at some point. HCB: What is coming up for you as a musician and for the bands you contribute to? MT: At the moment, I am just very busy with Indus Creed and the Whirling Kalapas so I am not playing with anyone else. While the band was not playing for about 8 or 9 years I was working composing for TV commercials or documentaries and that sort of thing. Or I would play one night somewhere, like that but there was no real commitment to any band... But I am now very busy and happy with what I am doing with both bands. * The Whirling Kalapas EP is available for free download temporarily at the Rolling Stones website. * Excerpts of Indus Creed music are also available for streaming at the official Indus Creed website. * Visit the Whirling Kalapas' Facebook page for updated news. 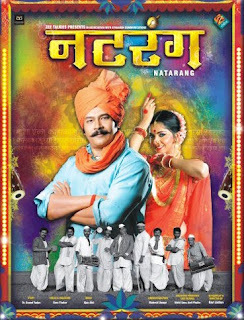 Bombay is India's foremost landmark in terms of Hindi cinema and music, both mainstream and independent. Today's post focuses on two musicians who have been crisply and ingeniously contributing to enriching the Indian music scene. 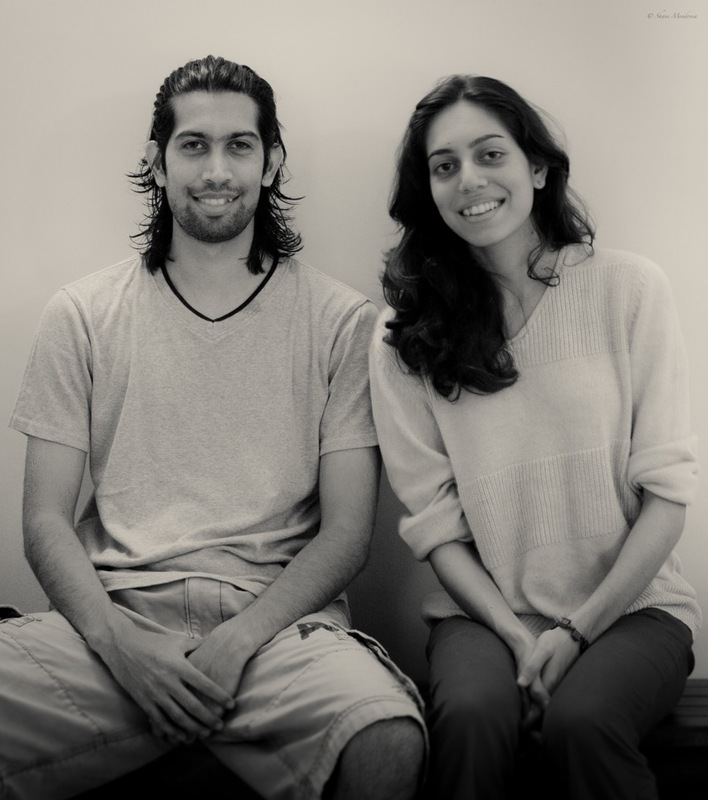 Shane and Alyssa Mendonsa have become a leading pair in the new young wave that swings Indian urban music from Bollywood pop to electronic music. Spanning a series of youthful genres, brother and sister have been making their mark, whether it be by opening a DJ school, creating background scores for internationally acclaimed films or remixing Bollywood hits and contributing fresh vocals or sounds to these mainstream favorites. ‘Allah ke Banday’ has been generating buzz and expectation for several weeks by unraveling a powerful soundtrack, unique promotional visuals, a deep subject and a golden cast including actors Naseeruddin Shah, Sharman Joshi, Atul Kulkarni and Rukhsar Nirmala ('Nishabd', 'Sarkar'). The film is Faruk Kabir’s first venture both in terms of acting and directing, and if this was not enough, Faruk is also behind the screenplay, which focuses on a subject dear to him: the flame that creates incredible potential within each child. 'Allah Ke Banday' is the story of two boys, Vijay and Yakub, who are born into one of the world's largest slums. With an early start in the world of crime, they are sent to a Juvenile Prison, where they encounter its dreaded warden (Naseeruddin Shah) in a world that is more chaotic than the one they left behind. All rights reserved to Hindi Cinema Blog. Powered by Blogger.